According to Mr. Balakrishnan Kunnambath, Societe Generale Private Banking’s Managing Director, Singapore is becoming increasingly attractive to non-resident Indians (NRIs). In an interview with the Business Times, he said that there has been an uptrend of large investor families moving to Singapore and that the city-state is fast becoming a preferred jurisdiction over the years. He explained that one of the routes taken by many well-heeled individuals is the Global Investor Programme (GIP). Under the GIP, an investor may gain the Singapore Permanent Residence status provided that he fulfils certain requirements. 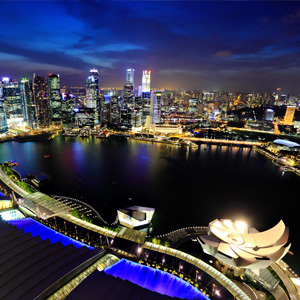 These include a substantial business track record as well as a successful entrepreneurial background and interest in starting a business or investing in Singapore. Large investors also tend to invest in high-end property for the longer term after they relocate their family members to Singapore. He explained that the group represents serious investors who plan to keep their property for at least over half a generation (15, 16 years). Therefore, recent property cooling measures introduced by the Singapore government, such as the additional 1% stamp duty, are not deterring them from purchasing property and relocating to Singapore. Instead, this duty will only be an issue for speculators. Global Investor Programme from Rikvin Singapore on Vimeo. Interested in assessing your candidacy for the Global Investor Program? Please email us @ info@rikvin.com with your profile and company’s Profit & Loss statement for the past 3 years. Upon evaluation, we will contact you on the necessary GIP application proceedings.